Nearly 30 percent of the expense to maintain and operate commercial and industrial facilities is attributable to the largest controllable cost – energy. Hundreds, thousands and even tens of thousands of dollars can be saved by building owners & operators through the correct application and use of Infrared Thermography Building Envelope Inspections. 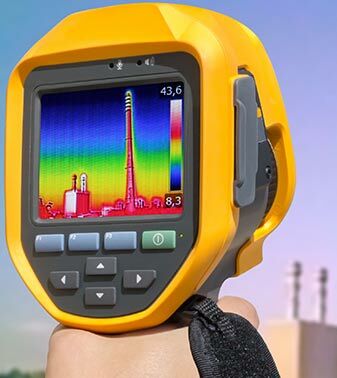 Thermal imaging inspections provide us with a picture of a specific condition of a building. Thermography measures surface temperatures by using infrared video and still cameras. These tools see light that is in the heat spectrum and undetectable to the naked eye. 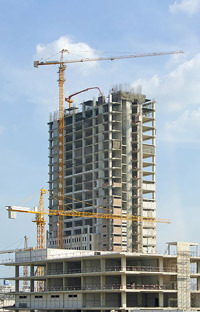 The resulting images on the video or film record the temperature of the building’s skin recording variances in temperature on a spectrum for analysis. 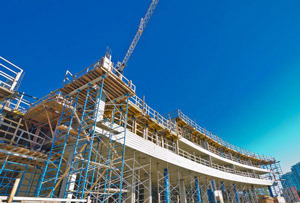 Through understanding thermodynamics and the composition and physics of property/building components, Structural Technologies is able to utilize this tool to detect moisture intrusion in buildings by accessing thermal patterns. The ability to pinpoint thermal anomalies indicative of water and moisture intrusion in buildings allows our building restoration team to accurately locate missing or deficient insulation, fenestration system energy loss and determine component failure resulting water intrusion on flat and shingle roof systems. Structural Technologies, Inc. will provide an infrared survey of the existing building components to detect thermal anomalies indicative of moisture infiltration. The thermographer uses an infrared imaging camera to see thermal energy emitted from an object or surface. The recorded difference in heat signatures shows the thermographer problem areas such as: moisture/water intrusion, insulation deficiencies, structural issues as well as building/home energy loss. Examination of the exposed portions of steel lintels, beams and reinforcement embedded within the wall and exposed to weather. Any in-wall flashings, applied caulking sealants, coatings, etc. will be examined for any evidence of disbonding or delamination. Photographic documentation of existing conditions and deficiencies. Areas determined as exhibiting deterioration, corrosion, delamination/deterioration and or structural failure will be photographed and submitted in conjunction with the written Condition Report. Structural Technologies, Inc. will provide a written Summary Condition Report which including repair and/or reconstruction recommendations and budget estimates for the restoration of building components. This summary will include repair and maintenance schedules prioritized to optimize and extend the useful life of the Building components.